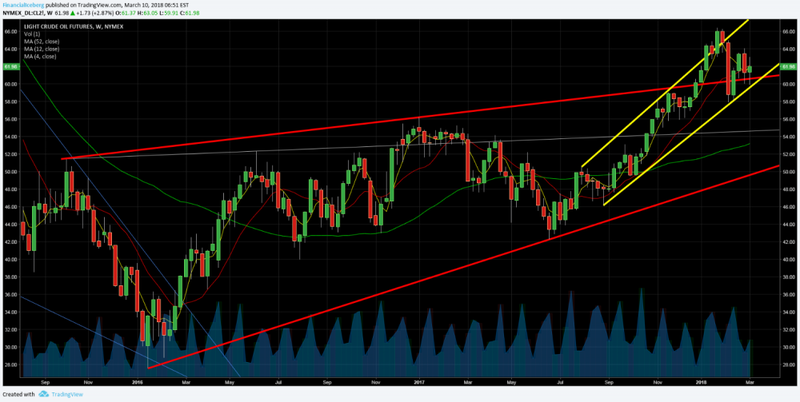 ​Weekly ​Rising Wedge Support Trendline. (See first chart below)​​. 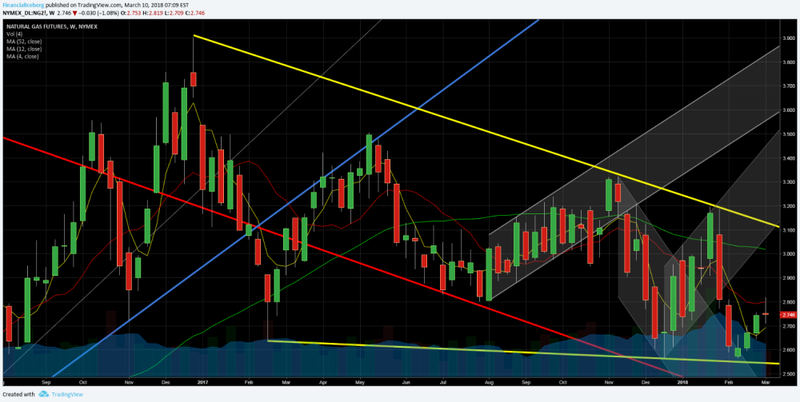 ​failed to protect the previous weekly breakout trendline 6 weeks ago (blue). 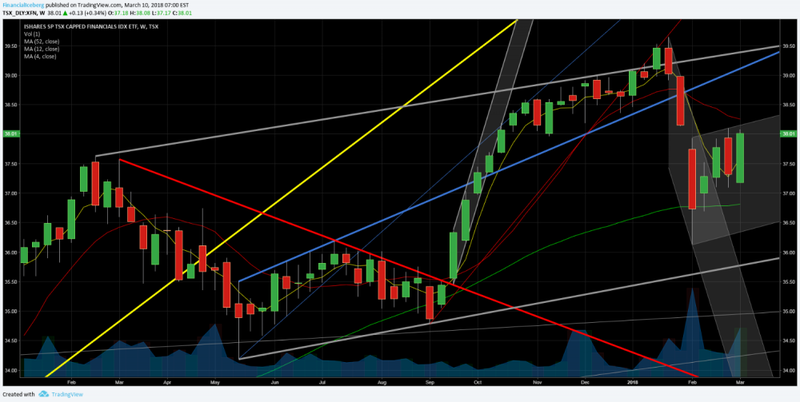 Still Into a Weekly Uptrend Channel. 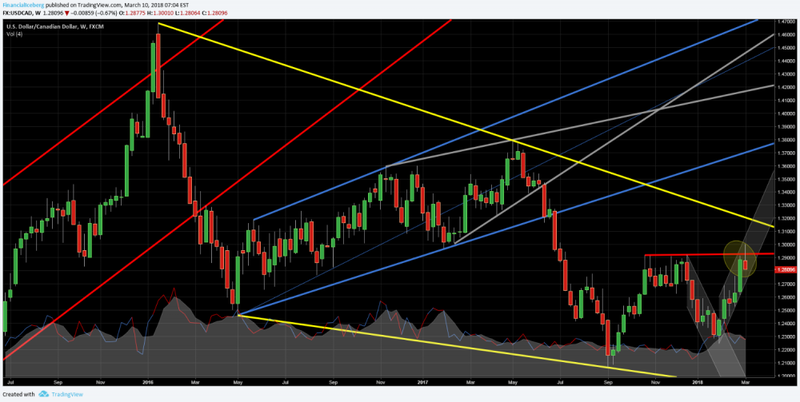 ​​​5) Canadian Dollar/ US$ (USDCAD) Broke violently a Weekly Megaphone ​Support Technical Pattern 36 weeks ago. 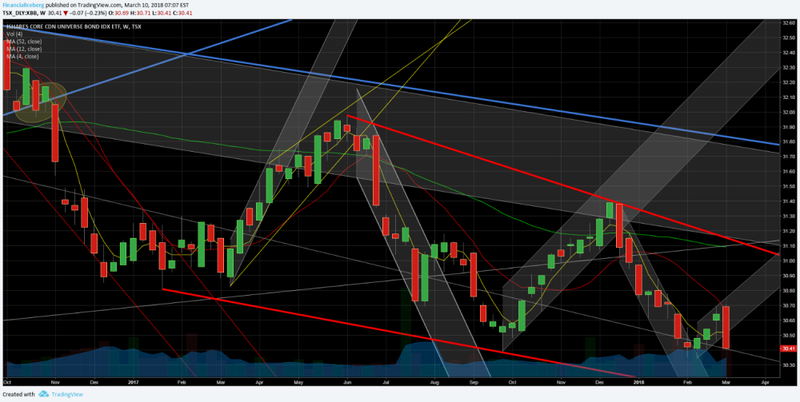 ​(See fifth chart below - Blue Trendlines)​ ​Into a Weekly Uptrend Channel. Weekly Shooting Star last week (ellipse). 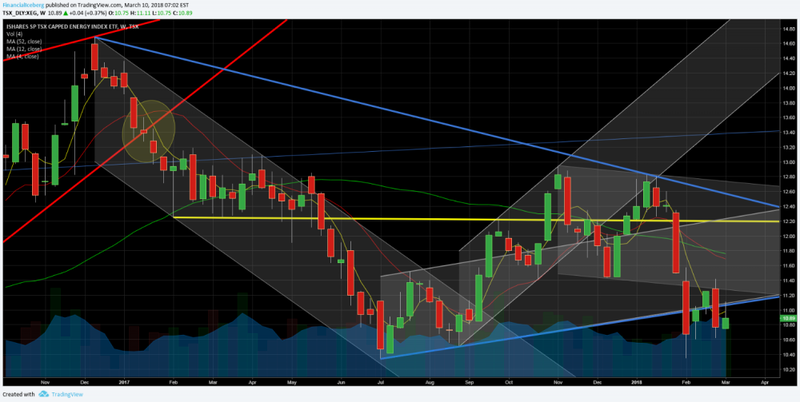 7) Canadian VIX Index (​SPTSX60 Volatility) compare to the US SP100 Index VXO is still below the resistance zone. 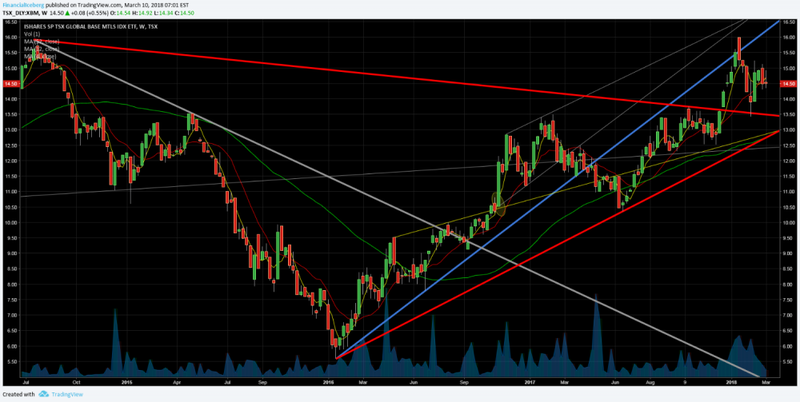 ​ (See seventh chart below - Grey Trendline). 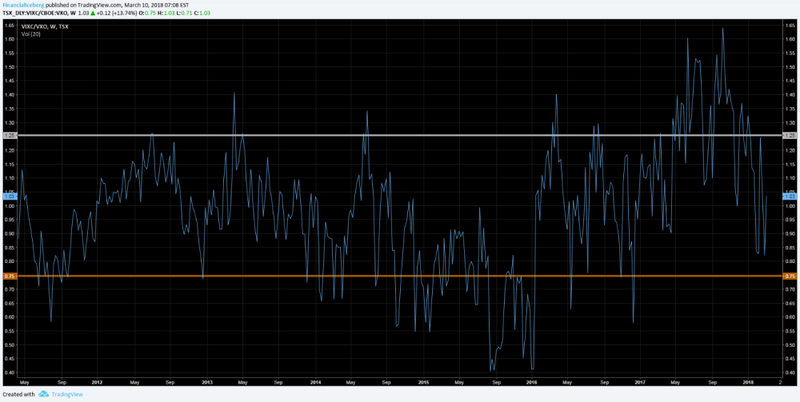 Canadian stocks are now less Volatile than US stocks. 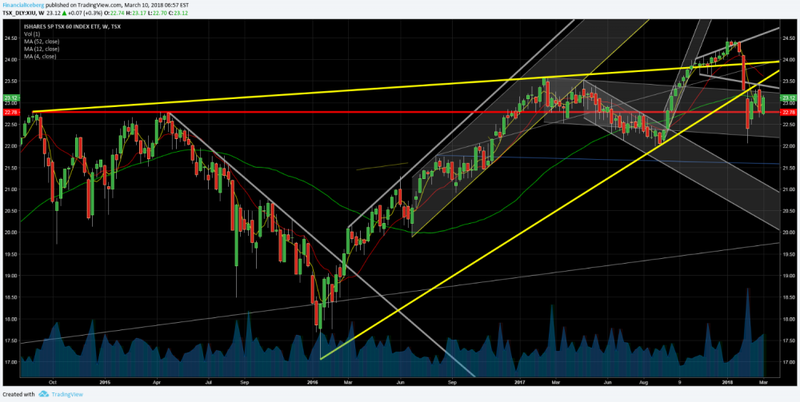 ​​The XIU ETF still into a high uncertainty as the NAFTA negociations is weighting tremendously on the stock market. Bank of Canada stance takes that topic seriously into account. Weak performance from oil stocks.